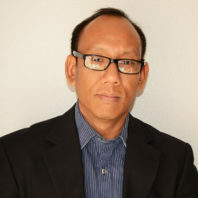 Bimbisar Irom’s research is located in the social and cultural aspects of communication and media studies. Within this broad paradigm, he specifically works in media ethics and its relationships to media representations and theories of communication. Among other things, he researches the ethics of reporting on terrorists/terrorism in news texts and how those communication artifacts draw upon long and deep- rooted cultural traditions, prejudices, and frames. Irom primarily uses qualitative methodologies including case-based studies, textual analysis, and critical-cultural analysis.